It’s one of the final days to see the stunning and increasingly epic No Colour Bar: Black British Art in Action 1960-1990 art & archive exhibition in its complete form at next Friday’s Late View. The show closes on 24 January after six amazing months at Guildhall Art Gallery. …And on the largest projection you will see in an art gallery, there’s a rare and special screening of award winning artist and filmmaker Evewright‘s visually stunning Walking Drawings Across the Estuaries which was shown as part of the No Colour Bar /BFI’s African Odyssey season “Canvas and Sand” last Autumn. 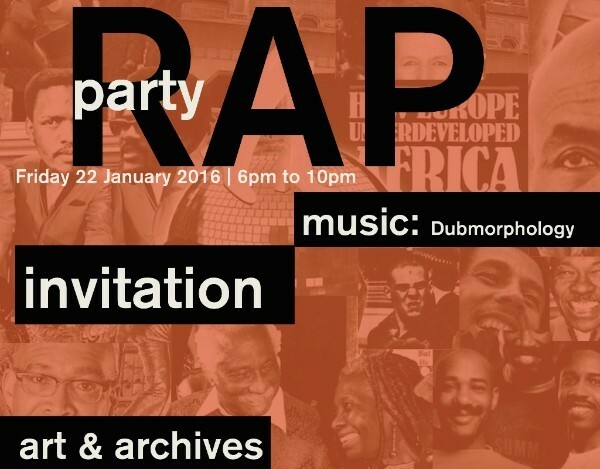 The RAP Party & Late View is free to attend and starts from 6pm-10pm. To join our VIP List RSVP Helena Boehm, No Colour Bar. No Colour Bar is funded by the Heritage Lottery Fund and is a collaboration between the Friends of the Huntley Archives at LMA with partners Guildhall Art Gallery and London Metropolitan Archives – provided by the City of London Corporation. Copyright 2019 - Essequibo Music.